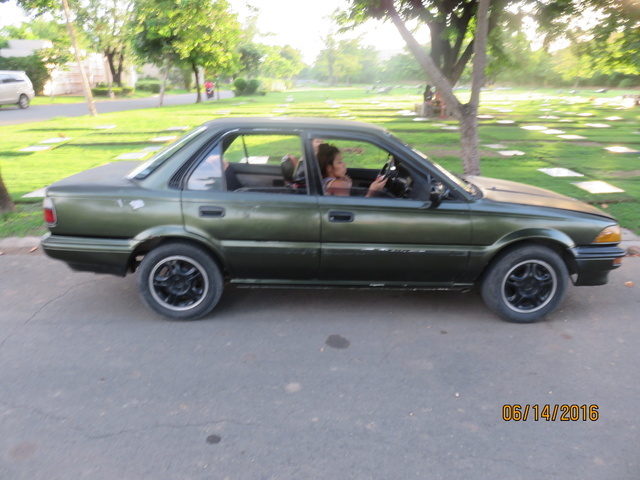 The 1990 Toyota Corolla saw a few small changes. The All-Trac sedan, introduced only the year before, was discontinued. The base engine got more power, as did that of the GT-S. Toyota also introduced an entry-level sedan, which had smaller tires and only came as a manual or three-speed automatic. 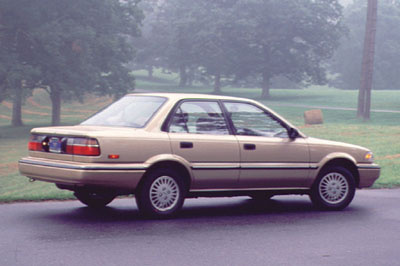 The 1990 Toyota Corolla came in many body styles with several trim levels. The sedan came as a base, DX or LE. The wagon was available as a DX or SR5. The coupe came as a SR5 or GT-S. All Corollas came equipped with a DOHC, 16-valve inline four-cylinder engine. The sedans, wagons, and SR5 coupe had a 102-horsepower engine and the GT-S had a signifigant upgrade to 130 horsepower. Fuel economy is about 22 to 33 mpg, depending on the engine. 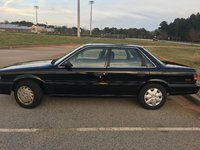 Drivers describe their 1990 Corollas as "no nonsense" and admit that while they aren't flashy, they are reliable and perform well in all kinds of conditions. Some drivers have had problems with rust, and others complain about the bare-bones options packages that Toyota had offered with this car. It does not come with a lot of frills. 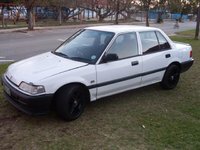 What's your take on the 1990 Toyota Corolla? dottie123 I bought it new off the dealer lot. white, blue interior, the DX model. It had 249,000 miles on it . I had a bad power steering leak, that caused the fluid to eat the motor mounts, which were replaced twice. :( the shaking of the motor inevitably caused the transmission to brake away. Towed it to car repair to find out they couldn't fix it & the car is no longer road worthy because of it :( If I had the money to buy another I would without hesitation!! This is by far the best car that I have ever had. Always dependable. This is the only time it left me on the side of the road. Wish I could go back and fix it again. Bought another car to replace it, but it doesn't live up to the Corolla DX in any way. 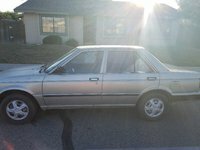 Have you driven a 1990 Toyota Corolla? Air in brake system. it is working after remove the air, but when start the journey it become low pedal again, why? I am curious as to what size engine my 1990 Toyota Corolla DX can hold. I know a 1.6L is stock but what is the biggest that will fit?